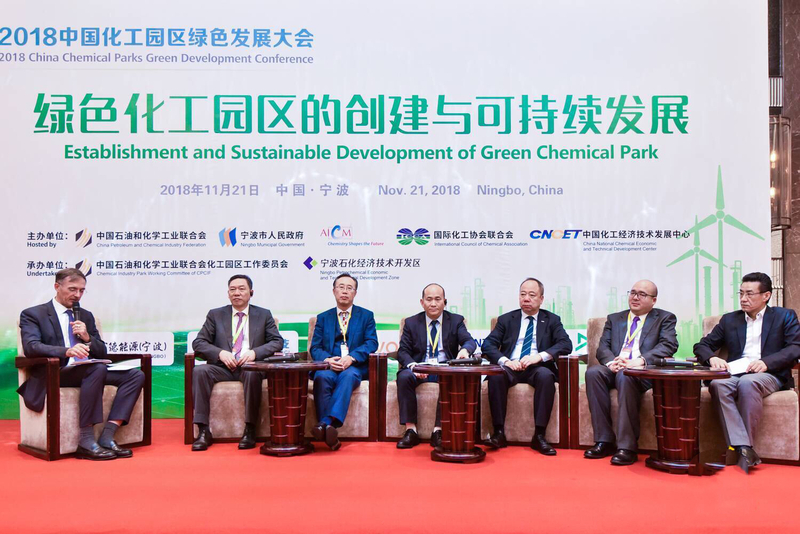 On November 21st 2018, duration of two-day’s China Chemical Parks Green Development Conference was successfully held in Ningbo, and there were over 600 participants join this Conference. 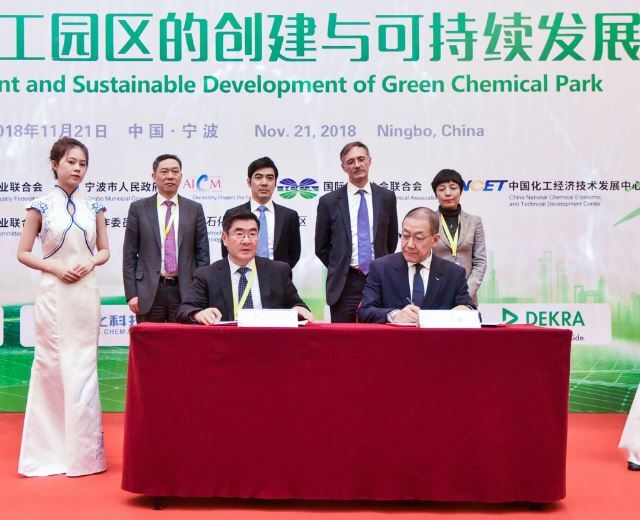 The conference is surrounding green development pathways and application technology to discuss Green and high-quality development of Chemical Parks. 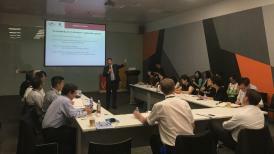 Through sharing and introducing successful practices and experiences of national and international mature chemical parks to coach the development of Chemical Park in China. 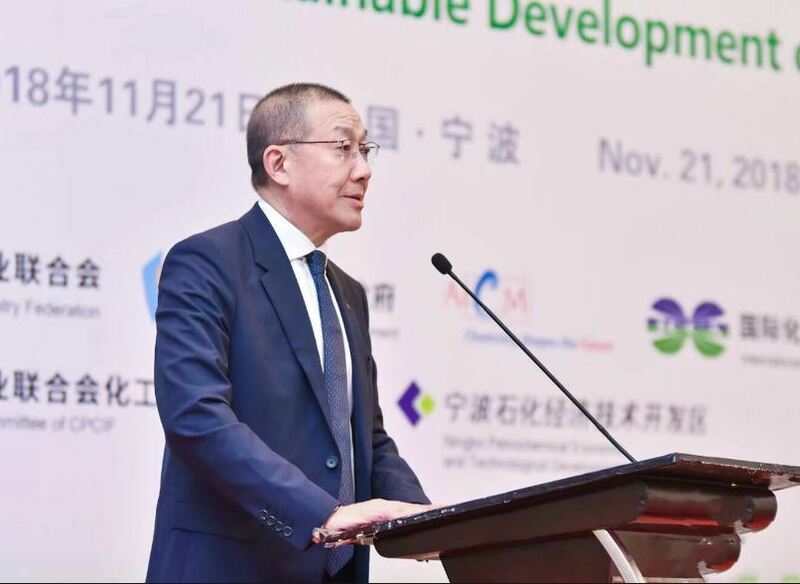 In the afternoon of November 21st, AICM board member, Senior VP Arkema Asia-Pacific, President of Arkema Greater China, Xavier Durand-Delacre hosted parallel session of ‘Establishment and sustainable development of green Chemical Park ’. Vice Chairman of AICM & President of Lanxess Asia Pacific, Mr. Qian Mingcheng made an opening speech. Stated the relationship between Responsible Care® and green development is supplementing and helping each other forwards, and also annouced that AICM would coorperate with CPCIF together to promote Responsible Care® with Chemical Park. Afterwards, AICM signed Memorandum of Understanding regarding cooperation on promoting Chemical Park in Responsible Care® implementation witnessed by participants. After simple signing ceremony, Xavier Durand-Delacre invited Leo Sun, President Greater China Solvay, Mr. Xu Wenhua, Deputy Director of Management Committee of Ningbo Petrochemical Economic & Technological Development Zone, Mr. Bian Zhongwu, director of Nanjing Jiangbei New Materials S&T Park, Mr. Tuo Jianliang, Vice President and Chief Representative for the Government and Public Affairs in China Evonik Degussa, Patrick Chang, Business Development and Commercial Senior President of Sembcorp China, and Mr. Liu Hua, Managing Director of Brenntag China to come to the stage to join the panel discussion of challenges and opportunities of Chemical Park’s green development. During the panel, we were hearing different dimensions on green development from different roles: as chemical manufactures, logistic enterprises, and Chemical Parks. 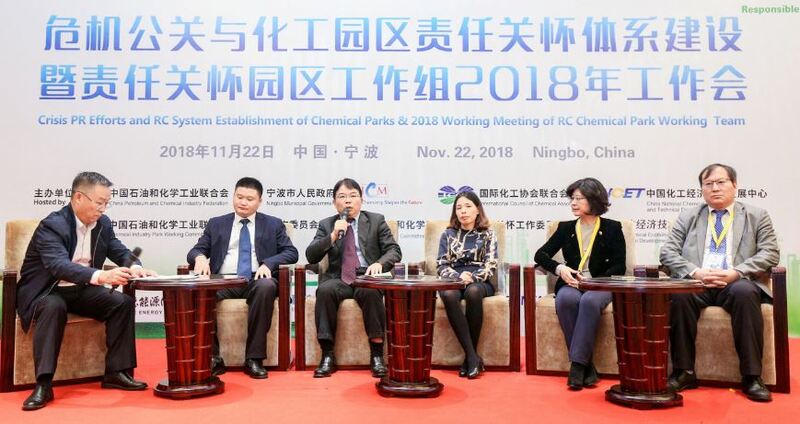 During the parallel session of Crisis PR Efforts and RC System Establishment of Chemical Parks & 2018 Working Meeting of RC Chemical Park Working Team in the morning of November 22nd, AICM members, William Tsai, HSE Director of Dow Chemical, and Celine Zeng, HSE Director Arkema Asia Pacific joined the Panel discussion: How to promote RC in the chemical park to relieve the pressure on safety and environment from enterprises, and let neighbors accept and understand the development of chemical industry with Zhou Zhijian, Director of Management Commission of Jiangsu Changshu Advanced Materials Industrial Park, Wu Xun, Deputy Director of Management Commission of Yangzhou Chemical Industry Park and Liu Guojin, North Asia Business Director of Antwerp Port Authority .